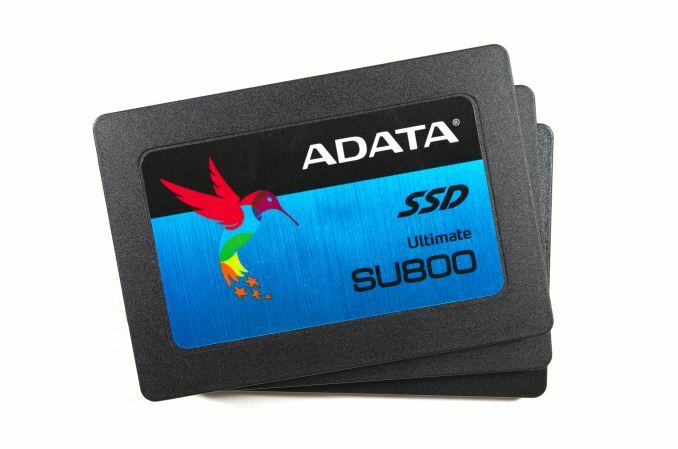 ADATA's Ultimate SU800 is their first SSD to use 3D NAND and the first 3D NAND SSD from a company that doesn't manufacture their own NAND flash memory. The SU800 pairs Micron's 3D TLC NAND with Silicon Motion's SM2258 controller to produce an entry-level consumer SATA SSD, available in both 2.5" and M.2 form factors. We've previously reviewed the Silicon Motion SM2258 controller in the Intel SSD 540s, which uses SK Hynix 16nm TLC NAND. We also had the opportunity to test an SM2258 engineering sample/reference design from Silicon Motion that used the same Micron 3D TLC but earlier firmware and different overprovisioning settings. 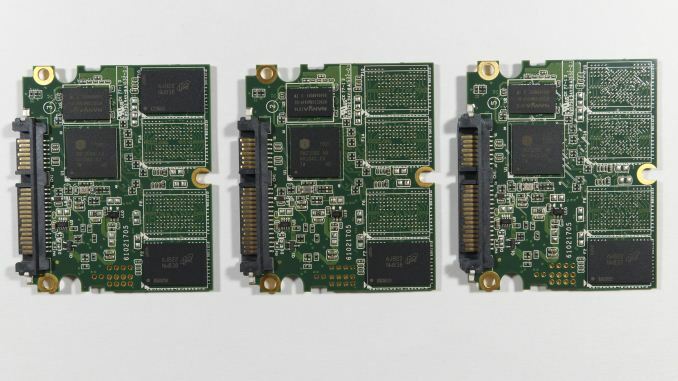 Silicon Motion's controllers are known for low cost and low power, and it's worth noting that their SATA SSD controllers are one of the few remaining single-core designs. Micron's only consumer SSD with 3D NAND so far is the Crucial MX300, and Intel has released their SSD 600p, both using the Intel/Micron 32-layer 384Gb 3D TLC NAND flash. The Crucial MX300 has been quite successful, with acceptable mainstream performance, great pricing, and great power efficiency. The Intel 600p is the most affordable NVMe SSD on the market and it offers real-world performance that exceeds any SATA SSD. That leaves plenty of room in the market for other models with 3D NAND, and plenty of interest from consumers seeking the benefits of 3D NAND. Micron's 32-layer 3D TLC NAND has a capacity of 384Gb (48GB) per die. This odd capacity means that while the SU800 has typical usable capacities like 128GB and 512GB, the die counts and raw flash capacities aren't powers of two. The 128GB SU800 has just three packages with one die each for a raw capacity of 144GiB. 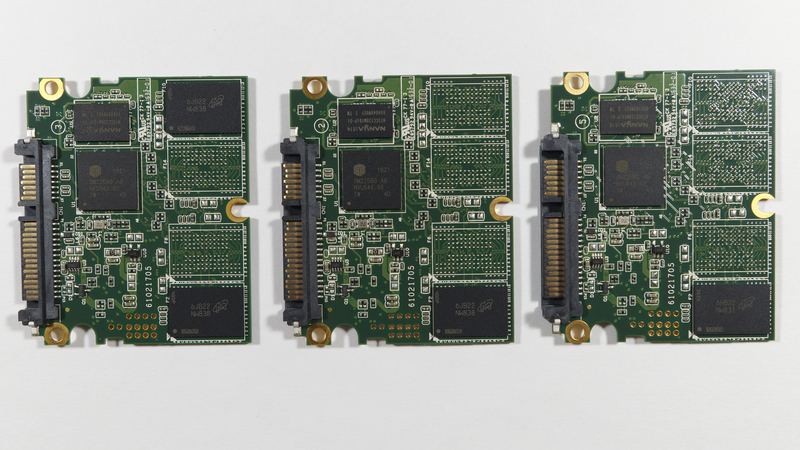 The 256GB and 512GB SU800s use three and six dual-die flash packages, respectively. Since the SM2258 controller has four channels for communicating with NAND, the smallest SU800 cannot make full use of the controller's capability and has reduced performance as a result. The larger capacity SU800 variants are rated to mostly saturate SATA on sequential transfers. In this review, the SU800 will be compared against the following drives. Click on the names to see their subsequent reviews. As always, other comparisons can be made using our Bench database.